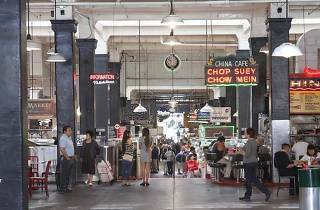 Pickle lovers will be tickled to hear that Grand Central Market is hosting a celebration of all things pickled, brined and fermented. On Sunday, May 15, from 10am to 5pm, the venue will "introduce visitors to the wide world of pickles" and showcase pickling traditions from around the world. Peruse the Pop-up Pickle Marketplace, featuring local purveyors pickling everything from mushrooms to green beans. Then roll up your sleeves for a "kraut mob," where you and fellow fermentation lovers can contribute to 1,000 Pounds of Kraut, a crowd-sourced, communal sauerkraut-making session led by fermentation expert Sandor Ellix Katz, author of The Art of Fermentation. Each participant will go home with a free jar of the stuff, along with instructions on how to complete the fermentation process at home. If you can't get enough of Katz, stick around—he'll be giving a free public lecture on fermentation and culture, with a book signing to follow. More into sampling? 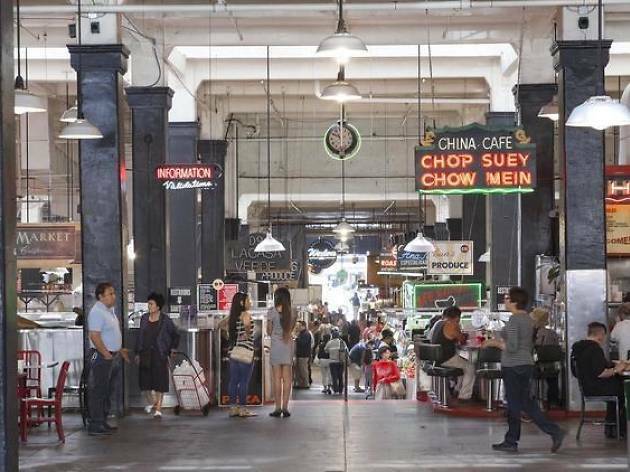 Vendors will offer special pickled menu items, and chef demos will be taking place throughout the market, introducing visitors to far-flung flavors and techniques. Taste Asian and Latino pickles and condiments; learn how to reduce waste by using the entire plant in "leaf-to-root" pickling; and get an inside look at pickling wild foraged finds.